Cat lovers of Delhi! We have some happy news to share with you. After years of planning and plotting, we finally have a dedicated facility for the street/ community cats who are brought in for spay/neutering or other surgeries by their feeders! The newly opened Cattery at the city shelter in Delhi is where these cats can rest and recuperate post their surgeries. The cattery can accommodate up to 15-20 cats at any given point of time. And so far, 7 have already enjoyed this lovely space filled with plenty of toys. 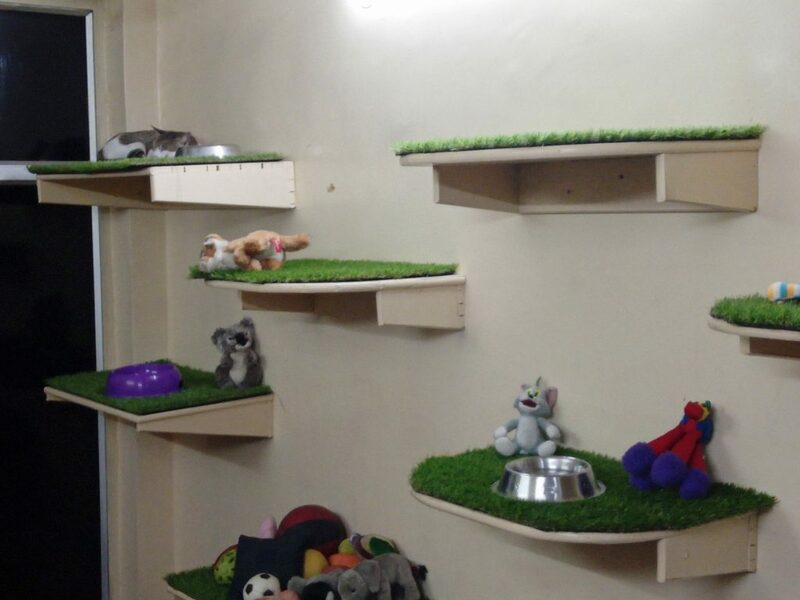 The cattery has been designed keeping in mind a cat’s obsession to climb and their love for heights so you will see kitty stairs and vertically arranged shelves along with other enrichment to alleviate stress, keep them entertained and their spirits up while their bodies heal. In other words, it’s a cat’s idea of paradise! While the space is not huge it is ideal for short term stay and a far better place than a tiny cage in a corner of the shelter. 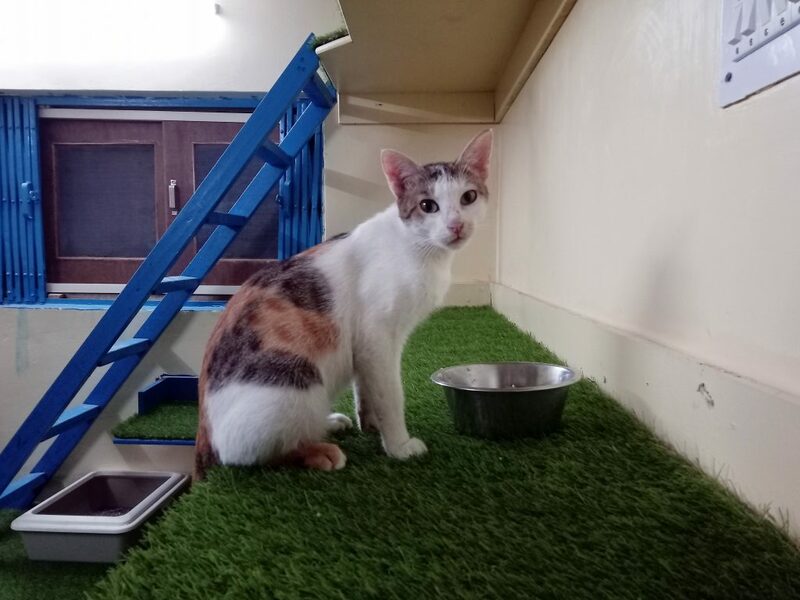 Since cat sterilization program is not funded by any organization or authority, the Cattery is supported by funds from the individuals who bring in the cats. They are requested to ensure their cat is vaccinated and to make a donation for the use of the facilities which includes blood tests, surgery and post-operative care for 3 days. So next time you need your community cat spayed you know which door to knock!